I took this off when I was working on my injectors, and was wondering...what the heck is it for? It's a guide for the original spark plug wires which probably are shorter than what you have now. Awesome! I was trying to make it something like that, but couldn't get there on my own! I love this forum, you guys ROCK! I'm gonna add your picture here (in case the link goes away some day). 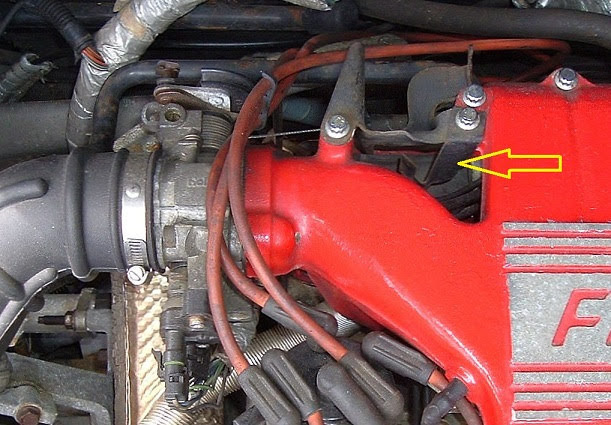 The Pontiac engineers probably did that to make sure the spark plug wires don't get hung up with the throttle cable.....even though it's a tight fit to get the wires through there. Good plan. I need to get a Windows PC so I can use the Picture upload software. My Mac feels more and more like a mobile device now-a-days. There was a little plastic wire loom that slipped on that tab that's hidden down low. It's similar to the one used near the temperature gauge sender. 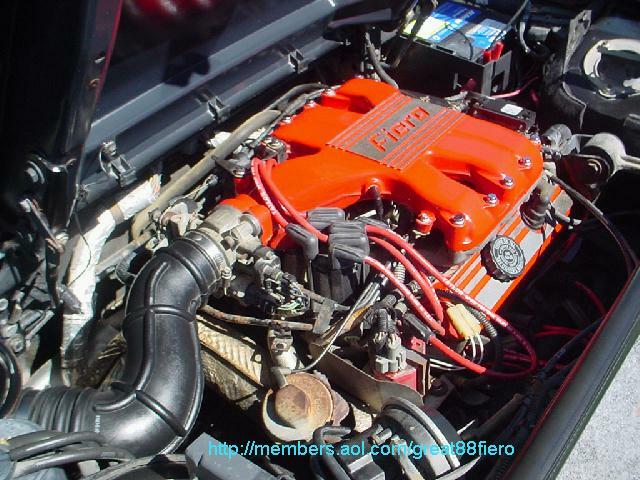 Hmmm, I learned something about Fieros today. Nevertheless, I think I prefer the wires running over the bracket; I don't like the idea of having to unscrew something in order to change spark plug wires. Anyway, I think my Fiero has too much junk down there (PCV line, water injection line) to route the wires in the stock path. You don't have to unscrew anything. You can pass the distributor end of the wire upward through the opening very easily. That path does keep the wires away from the throttle body cam, throttle, cruise and kick down cables. Did the wires go over or under these cables?